At the end of the road the dream still exists. A short drive south of Wilson, Wyoming will remind you of why you want to call Jackson Hole your home. 4 acres of pristine forest bordering public land provide truly unbelievable backyard experiences. Wildlife abounds and are effectively your only neighbors. The creature comforts of the well-maintained 4 bed 3 bath 3 car garage log home await whenever your day ends. If you want to share paradise, an eat-in kitchen and well-appointed family and living rooms create an atmosphere that will enthrall every guest. Whether your interest is second home, family compound or primary residence the accessibility of the location allows you to control how much civilization you need. Excellent horse property with existing tack shed. 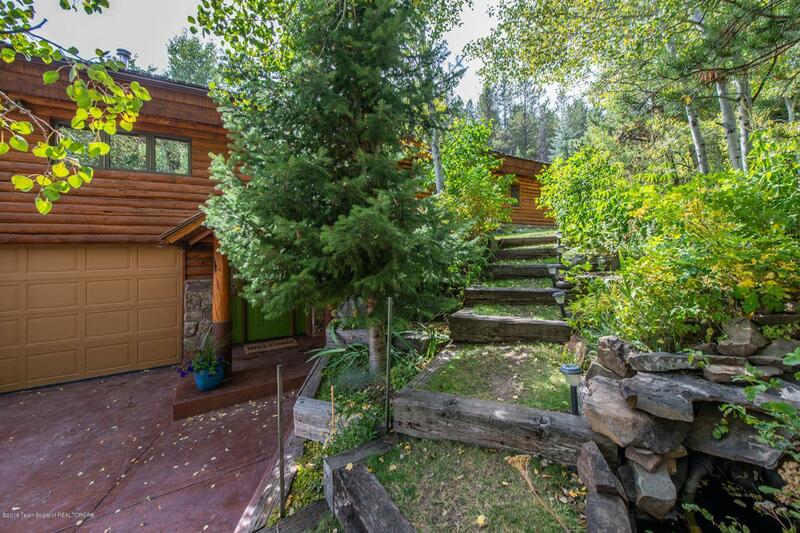 Listing provided courtesy of James Musclow of Jackson Hole Sotheby's International Realty.